My husband and I have very different palettes when it comes to vegetables. He tends to like his vegetables overdone and mushy, where I like for them to be al dente and still have a little bite to them. 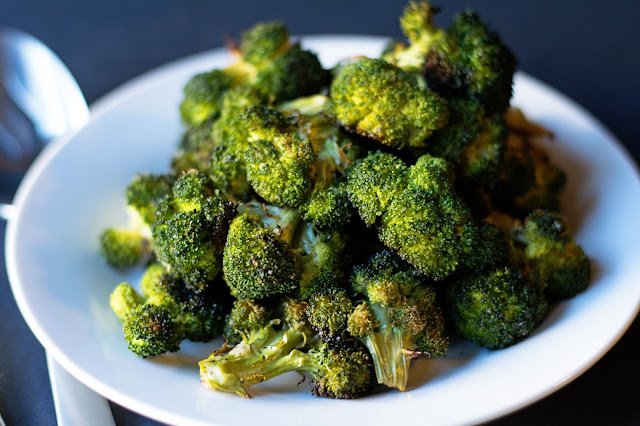 But recently we were invited to my friend Catherine's house where she introduced us to Roasted Broccoli. John and I BOTH loved it and roasting is now our favorite way to eat it. Magical things happen in the oven that totally transform the flavor of one of American's favorite veggies, and I can't wait to share with you how easy it is to make! Next you will need to trim the florets from the stems. Place the florets on a baking sheet. Then drizzle the olive oil over the broccoli. Then, using a micorplane, you will grate the garlic over the garlic. Using your hands (because they are the best tools that you have) and give everything a nice toss until all of the broccoli is coated with seasoning and oil. Place in the preheated oven and cook for 15-20 minutes. This is what it will look like when you take it out of the oven. I adore Roasted Broccoli. As it is cooking in the oven the flavors are really enhanced and it is out-of-this-world. You can top this with a little freshly grated Parmesan and WOW! I know you are going to love it so get in the kitchen and give this Roasted Broccoli a try TONIGHT! Cut the florets of broccoli from the stem and place on a greased baking sheet. 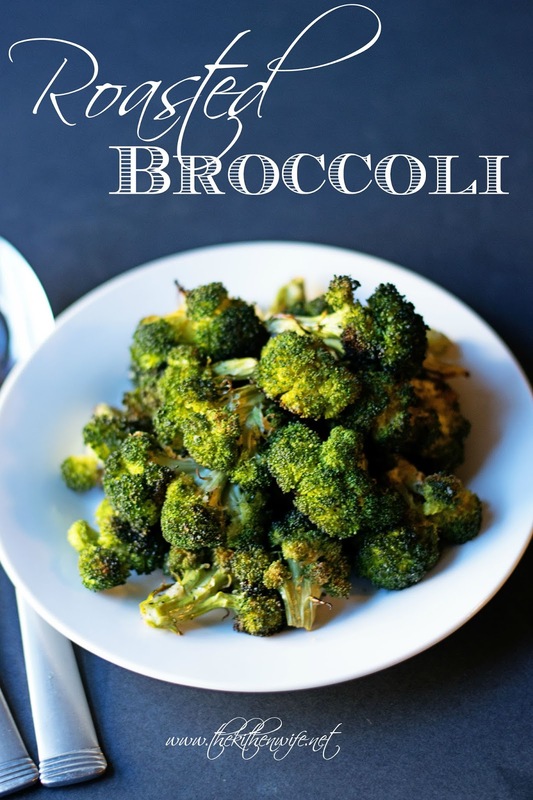 Drizzle the oil over the florets, season with salt and pepper, and grate the garlic over the broccoli. Toss everything together and place into the oven for 15-20 minutes. Even though I cook quite bad, I think it is simple to follow. Thanks. I'm sure you slay in the kitchen girl! Thank Mandee. These pics look so good! Thank you so much! That is very sweet of you!